There's a new Subscription Box service out there for you to sink your teeth into (... not literally. This isn't Graze). No, this is for you RPG gamers out there. 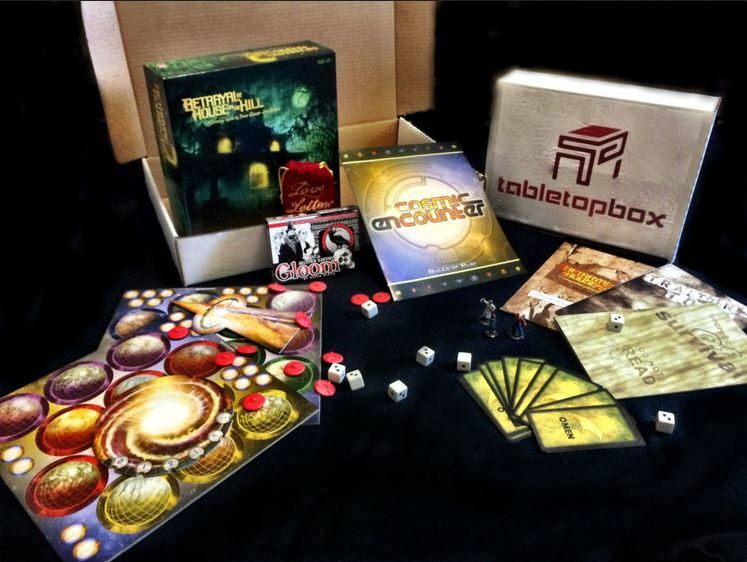 It's TableTop Box and you can get your orders put in now. There's even an introductory price for those that sign up for the company's newsletter. And it's no small 5% or 10%, either, it's a whopping 50% off if you sign up before the 30th of this month. So if you want some RPG stuff sent to you each month, right to your door, go get your name on the list.